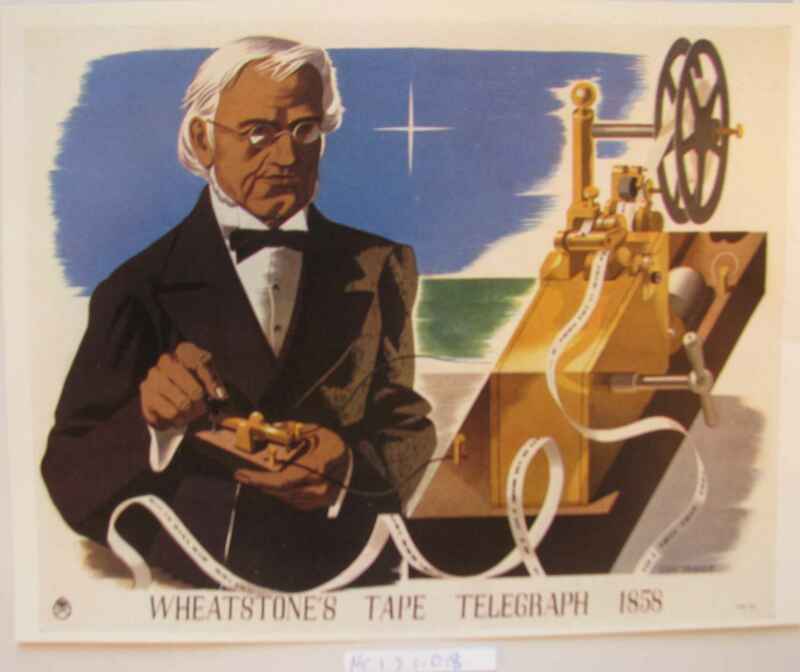 Full Description: A colour art print of "Wheatstone's Tape telegraph" , from an art Journal dated 1945. The artist is Eric Fraser (1902 - 1983) noted for his work on posters for London Transport, on WWII themes and many other works. 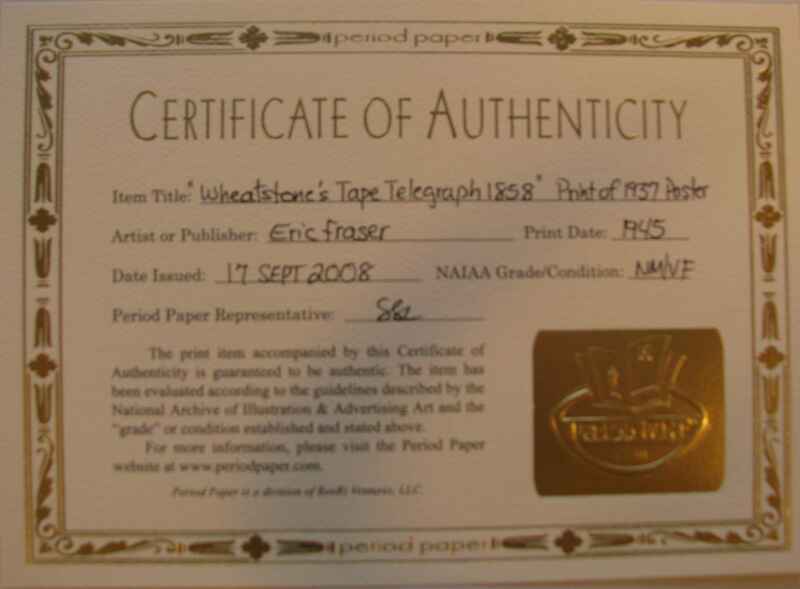 See http://www.ltmcollection.org/posters/artist/artist.html?IXartist=Eric+George+Fraser for details.